Paracetamol does not reduce arthritis pain but instead increases the likelihood of poor liver function! As reported on news.com.au 1/04/2015 a study published in the British Medical Journal has shown that Paracetamol won’t help alleviate the pain associated with osteoarthritis of the knee or hip or back pain. Currently in Australia prescribing paracetamol for the pain associated with osteoarthritis is the first treatment medical guidelines tell doctors to use. The full dosage suggestion is up to 4000mg/day! Instead the study showed that taking paracetamol could make it four times more likely a patient will get abnormal results on a liver function test. 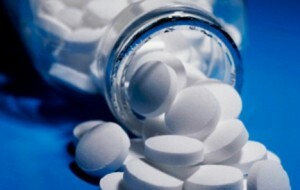 The study included 13 randomised controlled studies that looked at the effects of paracetamol use compared with a placebo: 10 trials included 3,541 patients and evaluated the use of paracetamol for osteoarthritis of the hip or knee, and 3 trials included 1,825 patients on the use of paracetamol for lower back pain. Reduction of pain intensity and improvement of disability and quality of life as well as safety and patient adherence were all analysed in the study. The findings of the meta analysis indicate that for lower back pain, paracetamol had no effect and did not reduce disability or improve quality of life compared with the use of a placebo. For osteoarthritis, researchers found small but not clinically important benefits in the reduction of pain and disability compared with the use of a placebo. Recommendations deriving from the study include a call for the use of safe and effective alternative treatments, especially non-drug options, such as exercise, which has clear benefits in the management of spinal pain and osteoarthritis. Originating in Australia but with global implications, the results from this systematic review and meta-analysis regarding the efficacy and safety of paracetamol for lower back pain and osteoarthritis of the hip or knee are indeed far reaching. Paracetamol, known to poison 150 Australians weekly is NOT an effective pain reliever of spinal pain nor of knee or hip pain associated with osteoarthritis. Instead patients are four times more likely to get abnormal results on a liver function test. At Emed we believe that there is a better way to manage pain with out the potential for toxic side effects. Natural Medicine and good musculoskeletal medicine can help relieve pain and inflammation without risking the lives of those undergoing treatment. Click here for Emeds Best Natural Anti-Inflammatories. Rather than using a drug to reduce inflammation why not reduce your intake of sugar and grains to reduce inflammation naturally. Read “Eating to Reduce Inflammation” for more information. Emed is an Integrative Medicine Practice that helps people in Australia and all around the world. We provide consultations both online and within our eClinic, all at our beautiful practice located in Knox, east of Melbourne’s CBD, Australia. If you are concerned about any lifestyle changes that you have read about or are interested in, give one of our friendly Emed team a call. We can arrange a free initial consultation with you either at out clinic in the eastern suburbs in Melbourne or via video to discuss your needs and requirements. Emed – At Your Place or Ours! Are You Being Poisoned by Paracetamol? Are You A Target Of Smart Drug Marketing?